It's fair to say that Southern Brewing Company's co-founder and brewer Brian Roth has suffered from an intense craft beer obsession for the past several years. He's toured 515 breweries, homebrewed since 1993 and produced almost 400 test batches of beer on his impressive home system known lovingly as "Gratis Brewing." Many of these early recipes can now be tasted during a tour of SBC's popular facility in Athens, Georgia, and the Gratis equipment currently serves as the pilot system at SBC. 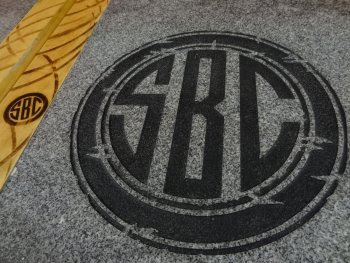 Brian, along with co-founder Rick Goddard, began construction of SBC in July of 2014. Rather than install a brewhouse in an existing building, the business partners made the ballsy decision to build an 11,000 square feet brewery from scratch on 15 acres of purchased land near Athens Technical College. SBC opened its doors on May 14, 2015 with a sparkling new 30 barrel brew kit. "We're the first modern craft brewery in Georgia to actually construct its building," notes Brian. "We wanted a large brewhouse that would allow for future growth, and the land around our brewery makes a great space for art, gardens, our bike trail, amphitheater and building expansion." 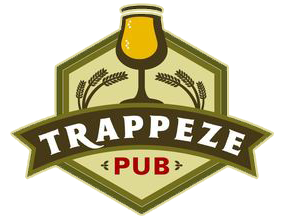 Brian's passion for personable beer began in his days as Craft Beer Manager for the Leon Farmer beer distributor in Athens. 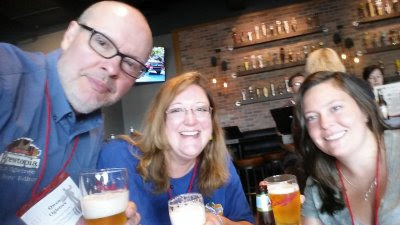 15 years ago, when Brian found it difficult to instill an appreciation of craft beer in the distributor's salespeople and drivers, he started a program of taking the employees on brewery trips around the country. Brian recalls, "During these trips, I took about a billion photos of grain handling, piping, taste sheets, lab sheets, brew systems, brewery layouts - just about everything. I used these photos for ideas for SBC." 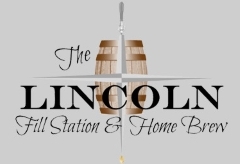 Leon Farmer employees were also invited to Brian's home to brew on the Gratis system. The strategy worked extremely well and had the fortunate side effect of creating a desire in Brian to brew on a larger scale. "We've taken some of the crazier moments at Gratis and are revisiting the recipes at SBC," Brian explains. 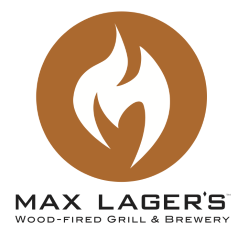 "Look for playful stuff like Green Tomato Carrot Kolsch, Maple Bacon Coffee Imperial Stout, Beet Kolsch, Watermelon Tart andGingernaut with chocolate and gingerbread." Rick Goddard served in Washington, DC as an advocate for commercial breweries and met Brian Roth at a wholesaler's meeting. The two became fast friends, and Rick soon brought up the idea of creating a craft brewery with a Southern personality. "12 years ago, many Georgia drinkers were just learning about craft beer, and I wanted to come up with interesting beers that people in the South would definitely embrace." 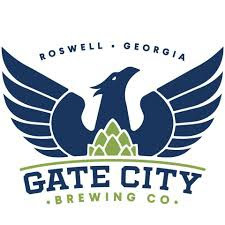 With a desire to include true southern DNA in their beers, Brian and Rick isolated wild yeast strains from Georgia wild azalea and Cherokee Rose blossoms that are now actively fermenting at SBC. Brian adds, "We've worked with 35 scientists from local colleges, cultured 42 wild yeasts and even ran the genetics on eight strains. Wild yeasts change with each generation, and the wild azalea strain lost its sour properties after ten generations, so we had to figure out a new propagation process to create a starter from the original yeast in three days rather than 16 weeks." 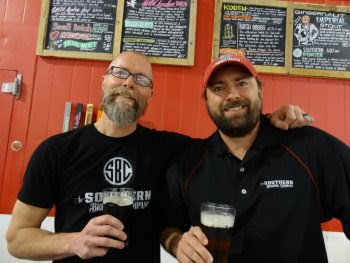 Both Brian and Rick point out that one of the most rewarding aspects of owning SBC comes from having great relationships with neighboring breweries. "When our glycol chiller broke down in June when it was 110 degrees outside, we called our brewer buddies for help," notes Brian. "If we ran a car dealership, I couldn't call the dealer down the street for advice. 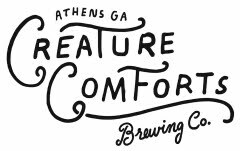 The guys at Terrapin, Creature Comforts, Wild Heaven, Max Lager's, JailHouse and many others have been huge friends to SBC. 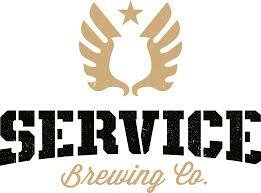 We're not competitors - we're all part of a craft beer community." 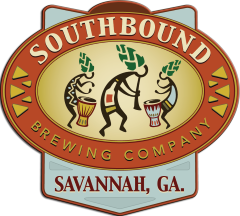 More than 20 innovative beers flow from the taps in the SBC tasting room where touring visitors also enjoy live music and spicy boiled peanuts. The gorgeous tasting room bar, a collaboration with a local carpenter who's also a craft beer fan, is made from reclaimed wood and a few scorched boards from Athens' burned Georgia Theatre. The Georgia blue granite countertops were donated by a local geologist who had them in storage for 30 years. SBC acquired a handsome oak foeder from Missouri's Foeder Crafters of America. Brian explains, "Right now we have 50 barrels of saison aging in the foeder for three months. 30 barrels will be released, then new beer will be fed on top of the remainder to keep the microbes going. We primary ferment with a saison yeast, then six different yeasts go into the foeder." 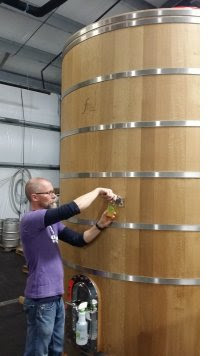 An extensive barrel-aging program is underway with a wide array of beers now "in the wood." 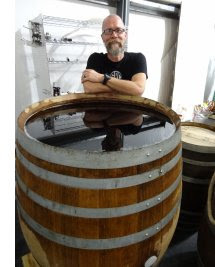 SBC also installed a 113-gallon puncheon barrel and four 60-gallon, hand-thrown, clay amphoras for fermentation. "Some breweries work on one basic beer style for years shooting for perfection, but I like variety," Brian relates. "I never homebrewed the same beer twice, and this taught me creativity. Without creativity, what's the point of perfection?" Rick adds, "Brian and I came into this business as two friends, and now we're family. Our greatest reward for all our hard work is seeing people enjoy our beer at local pubs and restaurants. We love the South, and it just wouldn't make sense to sell SBC beers in California, New York or Canada, so we'll keep it local and keep it in the South." Owen and The Beer Wench had the good fortune to share a weekend in Florida with a crowd of other beer journalists from around the country at the Beer Bloggers & Writers Conference in Tampa on July 8-10. Highlights of the annual event included a stirring introductory address from the Brewers Association's Julia Herz, an update on the craft beer industry in Florida, a delicious reception hosted by Green Flash, seminars on increasing engagement in social media, a writing discussion from Bob Townsend and Carla Jean Lauter, visual content tips from Deschutes' Gina Schauland, and a sour beer tasting with the guys from Petrus in Belgium. Live, speed rotation beer blogging is always a blast at the event, along with Sunday's seminars on building a beer community and growing beer tourism. The post-conference bus excursion to St. Pete and Clearwater was filled with amazing beer and useful networking. 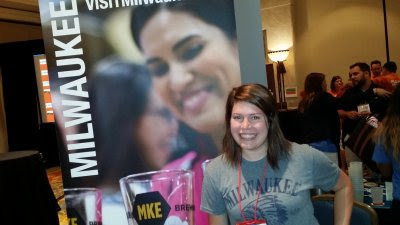 If you dabble in beer blogging, consider attending next summer's conference to be held in the classic beer town of Milwaukee! Here's the LINK for more information.